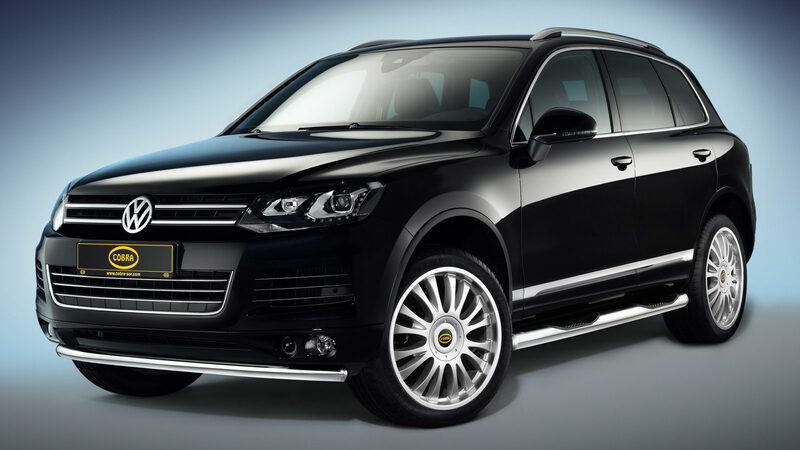 The Volkswagen Touareg, or as some call it, the rural cousin of the Porsche Cayenne, has been reincarnated with a second generation that was launched just this spring. That’s not very interesting, what is however, is what the people working for German tuning company Cobra Technology have managed to accessorize the big SUV with. 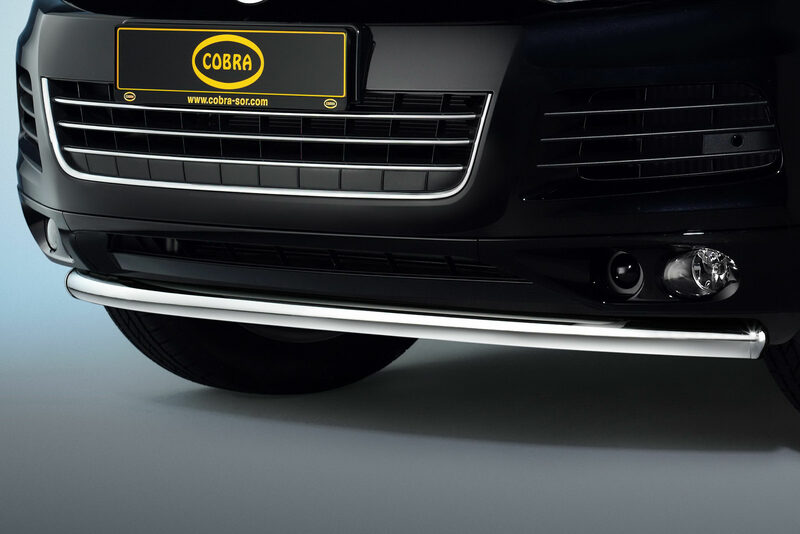 Before I go into the specifics of what the company is offering I should make it clear that by this time I’m still not a fan of the Touareg nor am I a big fan of Cobra Technology as I’m not very familiar with their work. 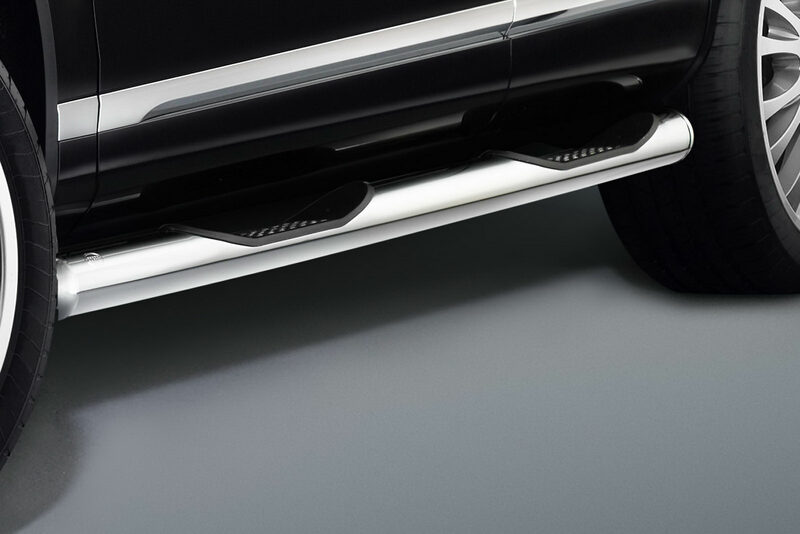 What they’ve begun doing with the latest version of the VW Touareg is worth remembering as they offer no more than a stainless steel lower guard for the front bumper which is meant to protect those who tend to unleash pain upon curbs. 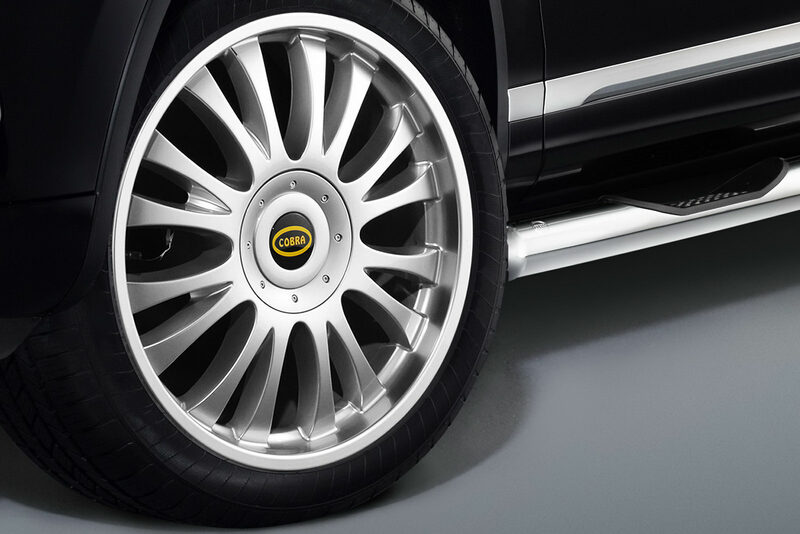 Another important bit on the short list they offer is a set of 80 mm thick sidebars that come with a nice rubber stepping surface for each door and as a cherry to sit on top of the cake there’s a set of 20 inch alloy wheels that are sublime. The pricing isn’t from another world as it’s no more than €395 for the front guard, €763 for the side guards and a mere €510 for the gorgeous wheels.